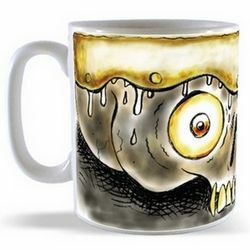 Our great new range of Monster Mugs - you have never seen such scary mugs on a mug! Designed the the amazing, if somewhat weird, illustrator Clem Wigley who is better known as Bear Mankini from Zen Dawg. 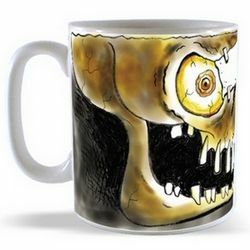 Monster Mugs are great for die-hard fans who appreciate scary staff. 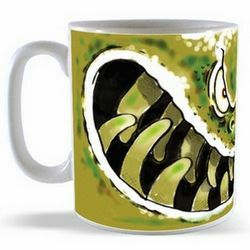 They are standard mugs of premium quality. They are scary but in a fun way. 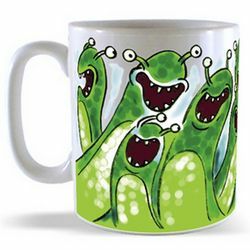 They are best suited for any situation that will bring about scary human. 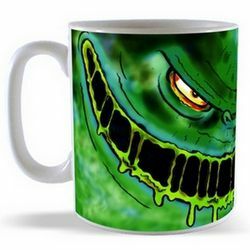 They range from green to blue mugs with different monstrous faces. You will get them at the most affordable prices and will surely enjoy using them. 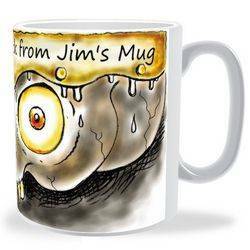 However, this mug may not be favourable for you if you are faint-hearted; they are meant for brave souls. Your child may also take well to them to especially if they are into monsters. 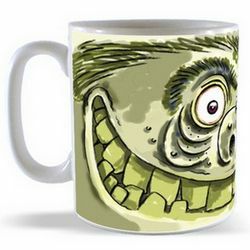 Designed and crafted distinctively, our monster mugs will sure suit each and everyone's different preferences. Although you may use them all through the year, they are a good catch for Halloween. They are a great way to kick off that day. 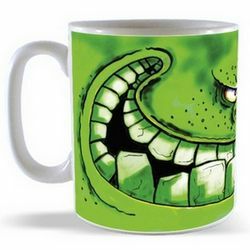 You will find the monster faces on he mugs really attractive because they have been very detailed and designed by the best hands. They make drinking any beverage an adventure. 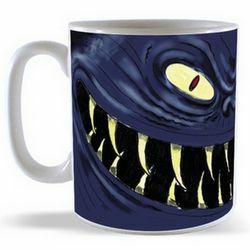 You can couple this with Halloween mugs to get great diversity out of them. They are really exciting visually. 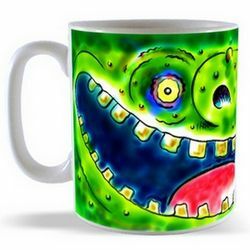 Get a kick out of the monster mugs experience and don't forget to bring these mugs out anytime you want to scare someone.